There is nothing like something sweet to brighten a cold and snowy afternoon than a sweet treat like Bubble Waffles. 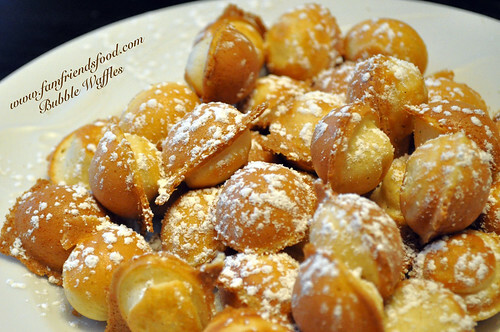 Have you ever heard of Bubble Waffles or perhaps Eggettes? I know I hadn't until very recently. My Husband had been perusing a website that had a ton of unique gift ideas on it. One of the items he came across was a Bubble Waffle maker and we were all intrigued. We ordered the Bubble Waffle Maker from Cucina Pro and anxiously waited for it to arrive. Want to know the rest of the story? Happy New Year! Hoping a few of you might still be stopping in here on occasion. With a new year and some new inspiration hitting me, I'm going to be adding some new posts... can't promise on the frequency since life has a way of delaying my writing over the past year. That's not to say that some delicious food and photos haven't been taken. I've been sharing photos on my Instagram like the one below. 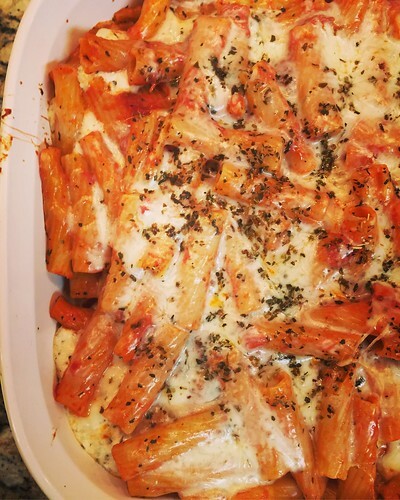 One of our favorites during the cooler months, Baked Ziti. One of the things I want to do more of this year is more photography of my family (my boys are growing up so fast!) and of the things that bring a smile to my face throughout the day. 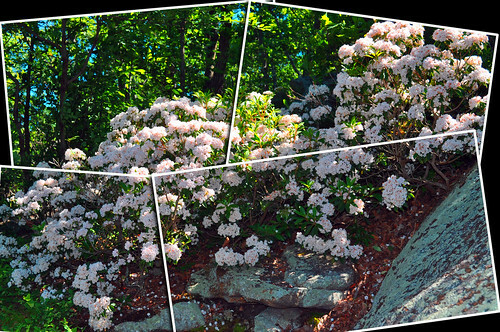 Add to that, I really want to dive into the various features in Photoshop... I've had it for awhile and have used a number of the tools successfully, but now it's time to learn more. For now, I'll leave you with this photo from a day we went hiking last summer. Soon, I'll have some more to share! If you don't want to miss anything, be sure to subscribe through the subscribe option in the right sidebar. Cheers to a fabulous 2017 for everyone! Fall is the perfect time to experiment with ways to use those apples you get from the orchard! 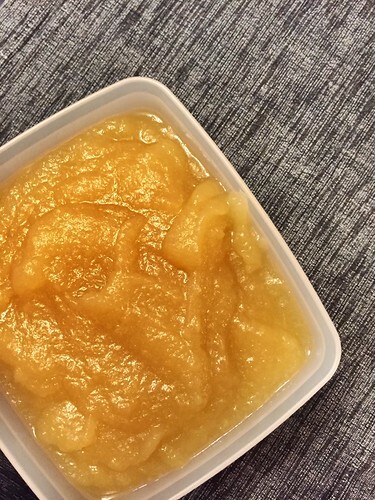 Using them for fresh apple sauce is ideal and will keep your family begging for more. Every fall we try to make it to one of the local farms and pick apples. It's fun and if you pick the right day and the weather is perfectly cool, but not too cool... you'll want to spend the whole day outside. Another week of commuting and I've got a few new podcast episodes that are worth sharing. 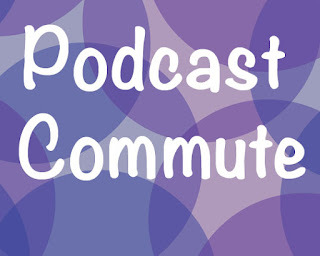 I'm enjoying learning about new podcasts to check out as people recommend them to me. Please feel fre to share your favorites in the comments. This week, I checked out some more entertaining podcasts to add some variety to what I listened to, and enjoyed a few new one's that I have now subscribed to so that I can keep up with the latest. Spending a day in New York City is always full of surprises! Take a look at what we found during our most recent trip! 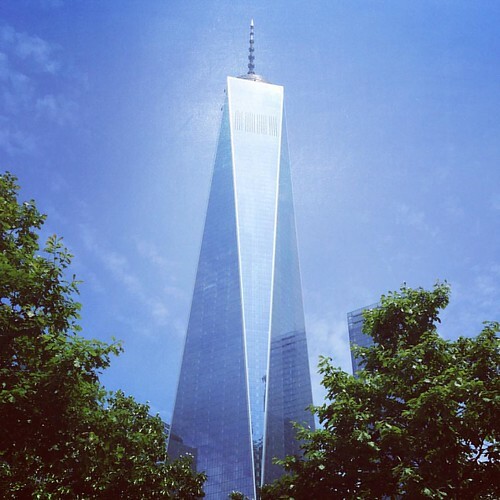 We started our day off by taking the PATH train over from Jersey City into the World Trade Center. Since we went in without a specific plan, we spent some time wandering around the memorial and checking out the sites. 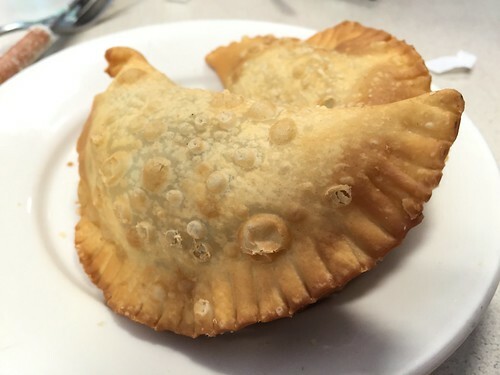 Once we left the World Trade Center and wandered a few block over, I spied a little Cuban restaurant, Sophie's Cuban Cuisine, that had empanadas! After a quick look at Yelp! to see how the reviews were, we went in and enjoyed a variety of empanadas as an early lunch/snack... I had the spinach and cheese, and the rest enjoyed the chicken and the beef. They were definitely satisfied my craving! 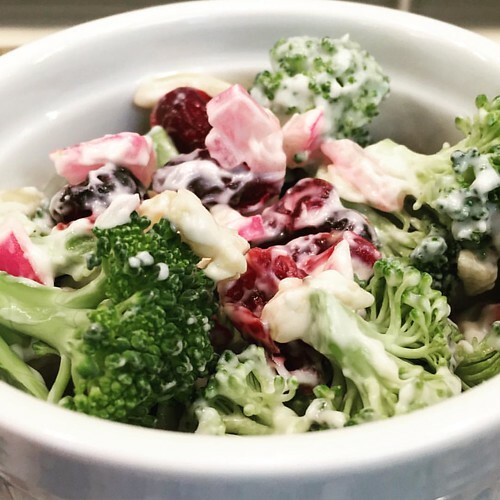 This lightened up version of broccoli salad will have you hiding it in the fridge so you don't have to share! I have had a love/dislike relationship with my subscription to Cooking Light for while now. Some months, I page through and find nothing that appeals to me (or my family)... and every once in awhile an issue comes along that makes me want to give them another chance. My commute has grown longer in the last month or so due to my company relocating to Jersey City. So, to help me pass the time as I navigate new traffic patterns, I've started listening to podcasts some mornings. I prefer to listen to music on the way home so, I have a variety of things to keep my mind off of the traffic. I've added a number of subscriptions to my Podcast app on my iPhone. I had no idea how many different podcasts were available... everything from entertainment, business, self improvement, health, cooking... the list goes on and on! So, as I come across specific episodes that I think are really good I'll share them here. 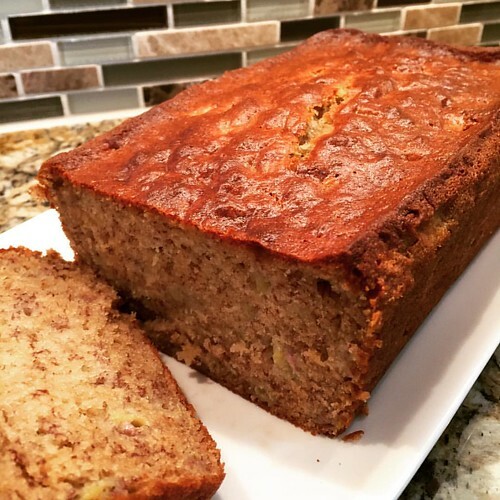 Bake this moist and delicious Banana Bread on the weekend, and you'll be enjoying it for breakfast or with your afternoon tea all week. Nothing like having a new oven to try out to get back into the baking game. 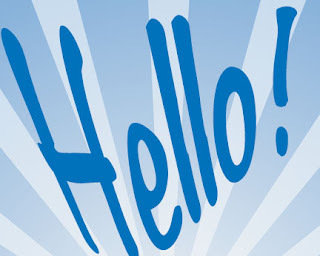 Hello to everyone who still stops by to see if there are new posts around here! I figured it's time to add something new and I'm starting with a new overview of what this blog is going to be about as I move forward. Back when I started this blog, I wanted to solely focus on my food adventures with family and friends While food is still an important focus of what I want to share here, I also want to share some other types of information and experiences. I've decided that I want to share more on my volunteer experiences with organizations that are near and dear to my heart. There is nothing more fulfilling than taking time to help others in whatever way you are able to on a regular basis. I simply feels good and my family enjoys finding ways to help others. Since I'm also starting to listen to podcasts that offer ways to improve my work skills and entertain me during my commute, I want to share those that I find the most interesting or that I think others might enjoy as well. They will vary from parenting, career focused to simple entertainment. I figure if I need to be in the car for extended periods of time, I might as well use that time to learn something new that I can use in my day-to-day life. I have missed writing in this space and it's taken me time to decide on how to keep it true to who I am. This space is not about what other blogs or websites are doing or sharing, which can be a distraction to what my intent is with my little space here on the internet. Don't worry... bringing people together through food is still an important aspect of this blog! There is just so much more that I enjoy and I want to bring those things to my blog. Nothing fancy, nothing on a schedule (you'll find a couple of new posts a week)... this is something I enjoy in my free time. It's an outlet to allow me to improve my writing and photography skills. I hope you'll join me for some great conversations and see where this takes us! I'd love to hear what types of information you are interested in seeing here... so, let's talk! Leave a comment and share what interests you! Happy Valentine's Day! I hope you are spending it with those who mean the most to you! Due to the bitter cold we are experiencing here in New Jersey, we are going to stay close to home today. I plan to make a couple of old favorites that scream comfort food to us. 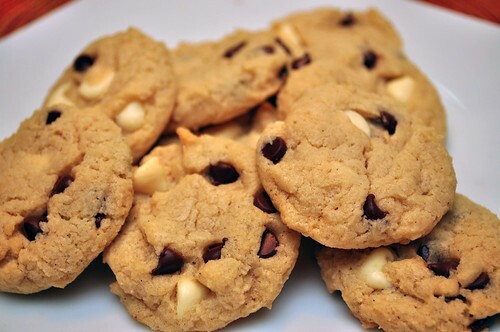 In just a little while, I'm heading into the kitchen to bake up some Cream Cheese Cookies that are consistently one of our favorites! These cookies are always soft and cakey, which is the way we prefer them... if they last more than a day, you can keep them in an airtight container for up to a week. Dinner will be cooking low and slow with my absolute favorite Red Wine Braised Short Ribs! 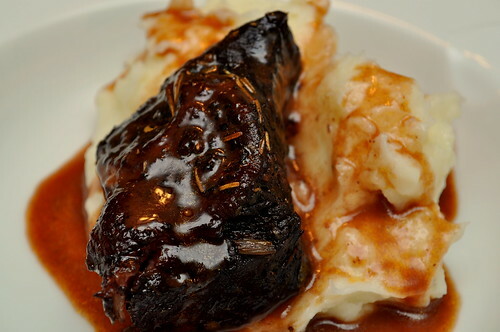 Serving these short ribs over creamy mashed potatoes is the perfect comfort food on a cold winter day - especially one that has negative degree wind chills in the air! You still have time to go and get some nice meaty short ribs from the grocery store to make these for your favorite people today. They braise in the oven for around 2 - 2 1/2 hours... and the scent coming from your oven will be heavenly! Wishing each of you who come to visit my little space on the internet a day filled with love and happiness! I'd love to hear what delicious treats you enjoy on this special day!